Recall when you were last at an outdoor event, such as a work barbecue or family get-together. Were you repeatedly bitten by insects, especially mosquitoes, while a person sitting near you was left unscathed? Many species of insects are attracted to humans for the odors we unknowingly give off. Certain species of insects appear to feast upon humans more than others. These pests include mosquitoes, no-see-ums, bedbugs, lice and scabies. Bugs bite for different reasons, including for nutritional value and to support reproduction. The human skin emits many odors, and scientists are still learning exactly which ones attract insects to us. Scientists do know that pesky bugs such as mosquitoes and no-see-ums are attracted to humans mainly because we emit carbon dioxide and heat. Certain body types emit more heat and carbon dioxide than others. For example, overweight people and women who are pregnant give off more heat and carbon dioxide. Bugs are also attracted to the increased levels of lactic acid odors from people who are exercising. Other bugs, such as bedbugs, bite humans solely based on the scent of blood and the warmth of our bodies. The smell of stress also plays a role in bug bites. Dr. Logan of Rothamsted Research in the U.K. believes that chemicals released due to stress repel mosquitoes. Those who are less stressed out are more of a target, as the body is in a worse condition and not as attractive to the bugs. Other things that attract bugs to you include what you wear. For example, mosquitoes are attracted to darker colors like navy, black and red. How your feet smell may also attract insects. Entomologist Daniel Kline wore the same pair of socks for 12 hours each day for three days. He found that mosquitoes were attracted to the odor of his feet, which was created from the same bacteria that produces Limburger cheese, which mosquitoes also are attracted to. You produce odors that bugs are attracted to in different areas of your body, so you may find that you are bitten only around your legs and feet, where you produce foot odors from wearing socks and shoes all day; or you may be bitten only around your head and neck, since this is where you release carbon dioxide. Bugs such as mosquitoes and no-see-ums may not be attracted to certain people so much as they are less repelled by them. Some scientists now believe that people produce odors on their body that act as repellents; those who produce fewer of these odors would therefore be more attractive. Scientists are still studying these odors. 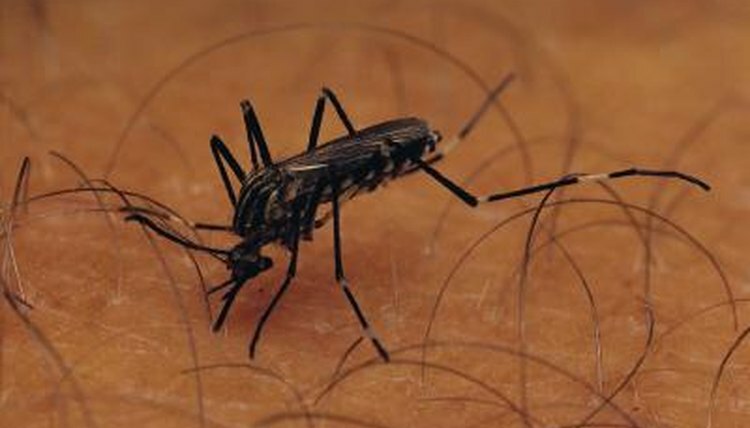 ABC Health and Well-Being: Are Some People More Attractive to Mosquitoes?